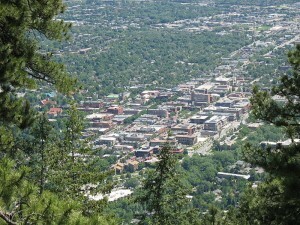 Colorado Peak Politics | BOULDER BIG SPENDERS: Is Boulder Short Changing Its Citizens? BOULDER BIG SPENDERS: Is Boulder Short Changing Its Citizens? Boulder: Where the only laws that matter are the ones made in the drum circle. Today, Boulder County Commissioner Elise Jones, an outspoken critic of fracking, today took to the Oil and Gas Task Force to talk about prevention of energy development in Boulder County. She had several suggestions for the Task Force, but interestingly, she didn’t mention Boulder County’s efforts to prevent energy development by becoming a mineral owner itself. Over the past few years, the City and/or County of Boulder has allotted over $1 million to acquire the rights to buy minerals and one has to wonder if the residents of Boulder County are aware that their tax dollars are being spent to block local energy development. The most famous case of the City and County Boulder’s acquisition of mineral rights is its deal with Jefferson County around the Jefferson Parkway Toll Road. Boulder paid $750,000 to acquire mineral rights from LaFarge to prevent the mining company from developing the rights it had to minerals under the surface. Of course, the question here is whether Boulder has been paying fair price for mineral rights. Boulder has set aside $100,000 per year to purchase just mineral rights (i.e., without land). That’s just one line item in the City of Boulder Budget. Mineral rights in conjunction with land are covered in different budget areas. Based on a study published back in June, mineral rights could be worth up to $100,000 per acre, so $100,000 seems a paltry amount. The City buys just one acre per year? Coloradans who struggle to pay energy costs or folks in metro Denver who would like jobs from the energy industry suffer when energy isn’t developed locally. Essentially, Boulder is using taxpayer dollars to leave opportunity on the table. It’s seems unfair to its residents. Then again, they don’t call it the People’s Republic of Boulder for nothing.